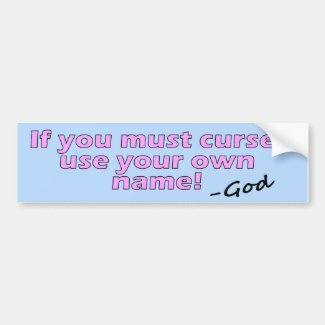 “If you must curse use your own name -God.” All the best fun and cute Christian bumper sticker quotes and sayings. Design by Diligent Heart. 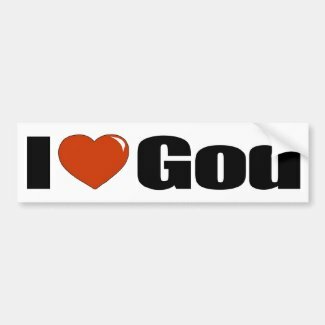 “I love God” bumper sticker. Funny and cute Christian bumper stickers to display on your vehicle. Design by Diligent Heart. Make your own bumper stickers at Zazzle. “Where God guides He provides” bumper sticker. Cute Christian bumper sticker quotes and sayings. Design by Diligent Heart. 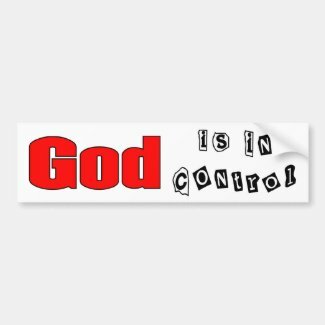 God is in control. Fun Christian bumper stickers quotes and sayings. Design by Diligent Heart.